In need of a good summer meal recipe? Don’t worry – we’ve got it covered! If you are anything like us, you probably don’t want to be spending hours in the kitchen during these summer months. Don’t make me wrong, I love cooking however when the good weather starts here in Vancouver, all I want to do is spend as much time outdoors as possible. During the next three months the idea is share the quickest and easiest recipes with you – but they have to be nutritious never lack in the flavor department! 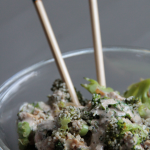 For this Tahini Kale Protein Bowl, we’re using quinoa, kale, broccoli, crumbled tempeh, hemp seeds and a tahini ginger sauce. 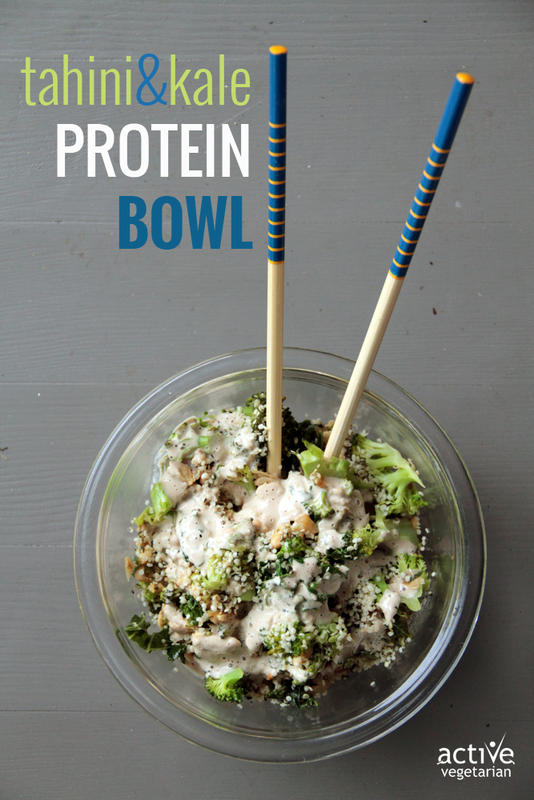 All delicious things in one big protein-packed bowl ready to serve in 20 min! Perfect go-to when you want to throw something together that’s quick, nourishing and super delicious. Combine 1 cup quinoa with 2 cups water in a medium-sized pot. Bring to a boil and reduce heat to simmer for about 15 minutes or until all water has been absorbed. Meanwhile, in a small saucepan, melt the coconut oil on medium-high heat. Add the red onion and sauté for 2-3 minutes. Add the garlic, kale, broccoli and tempeh. Sauté for about 3 minutes. Once quinoa is finished cooking, scoop it into 2-3 bowls and top with the vegetable mixture. Sprinkle with raw hemp seeds. Blend all ingredients together in a blender or food processor till smooth. Start with 2/3 cup water and add more as needed (dressing will thicken in the fridge). All bowl components can be made up to 3 days in advance and kept refrigerated, making this perfect for take-to-work lunches, easy entertaining, and quick dinners. Dressing can be made up to 3 days in advance and kept in a glass jar in the refrigerator. Stir before using. That’s a gorgeous photo. I love quinoa in my salads, it gives it the perfect texture contrast.